Acacia House at the new Las Alcobas, a Luxury Collection Hotel in St. Helena, opened in May 2017. 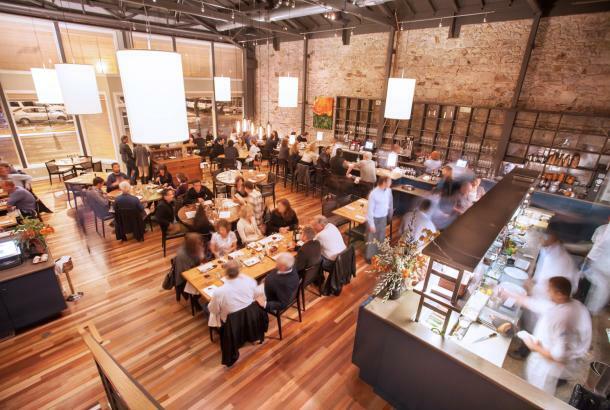 The restaurant was created by chef Chris Cosentino with business partner Oliver Wharton of San Francisco&apos;s acclaimed Cockscomb restaurant. The menu at Acacia House features a selection of small and larger plates designed to complement a diverse Napa Valley wine list. Cosentino and Wharton oversee all of the food and beverage components at Las Alcobas including an on-site artisan bread program with a focus on sprouted grains from organic growers; breakfast, pool, lounge and room service; banquets and catering; as well as picnic baskets and musette bags for cyclists. The Charter Oak, a restaurant by Chef Christopher Kostow and Nathaniel Dorn of the Michelin-three starred Restaurant at Meadowood, opened in St. Helena in June 2017. The Charter Oak is centered on a celebratory, casual, family-style dining experience, with simple, approachable and seasonal food. The menu, with Chef Katianna Hong at the helm, reflects the products of the Napa Valley and surrounding San Francisco Bay Area with an elemental cooking style highlighting one or two ingredients at a time. The Model Bakery opened “Mini Model” in Yountville in June 2017. Mini Model offers Stumptown Coffee drinks, pastries and other daily baked goods, including the famous Model Bakery English Muffins and breakfast sandwiches. Mini Model offers grab & go lunch items and an assortment of fresh baked breads, baguettes and cookies, among other specialties. Live Fire Pizza opened at the Oxbow Public Market in Napa in June 2017. They serve dine-in or to-go California style wood-fired pizza, Italian sandwiches, local salads and baked goods. Liza Shaw, former executive chef of San Francisco&apos;s A16 and consultant to Redd Wood in Yountville, was enlisted for LiveFire’s menu development and chef team training. Napa Noodles, from the owners of Eiko’s and Eiko’s at Oxbow, will open in late summer 2017 in downtown Napa. Napa Noodles will be an Asian Pacific Rim-style restaurant that fuses Asian noodles with Napa Valley cuisine. Specialties include house made noodles, savory soups, slow roasted meats, seasonal salads, flavorful rice dishes, Asian beers, Sake and local wines. Charlie Palmer Steak by Chef Charlie Palmer (owner of Harvest Inn by Charlie Palmer and Harvest Table in St. Helena) will open at Archer Hotel in downtown Napa in 2017. Palmer and team will also oversee the culinary direction of the rooftop bar, poolside and in-room dining, as well as private events for Archer Hotel. Liana Estates opened a new outdoor deck in July 2017. Located off the winery’s Bocce Garden, the deck covers 1,300 square feet and overlooks the 100-acre estate and the San Pablo Bay. Dozens of olive trees permeate the deck floor providing shade and further immersing guests into the winery’s surroundings. The Deck will be open to guests daily, offering a fun yet relaxed setting to sip wine outdoors. Liana Estates also started a Cupcake Tasting in June 2017. The tasting features four mini cupcakes from local bakery Kara’s Cupcakes to complement four Liana Estates wines. Cupcake flavors and wine pairings change seasonally. The CIA at Copia has two new tasting and dining experiences for guests. New programs this summer includes: The Tasting Showcase and The Box Office. The Tasting Showcase allows guests to try distinctive wines from Napa Valley and beyond in the facility’s atrium on custom-made bars. Wineries will rotate quarterly. The Box Office serves specialty sandwiches, garden salads using ingredients picked from the Copia Gardens, and soft serve ice cream. The Tasting Showcase opened July 1, and The Box office opens July 18, 2017. Signorello Estate started a Chauffeured Estate Tour in May 2017. Guests to the Estate begin their experience with a chauffeured tour of their 100-acre estate in a custom off-road vehicle. 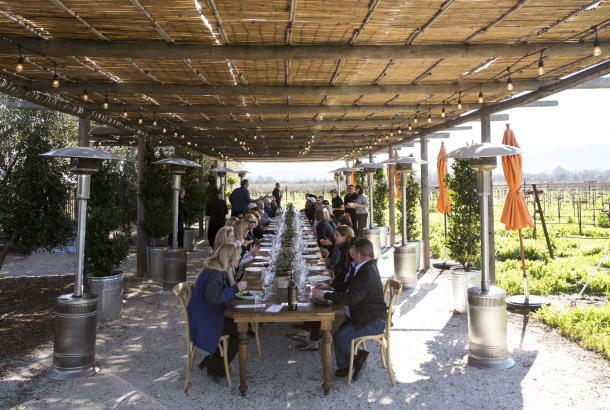 Hosted in small groups by an attentive Estate Ambassador, guests will ride down to, and walk through, one of the Napa Valley’s oldest Chardonnay vineyards. Next stop is over the hill to the eastern vineyard, home to their Cabernet Sauvignon, Padrone. After the tour, guests return to the winery to begin a hosted tasting experience. Stag’s Leap Wine Cellars began offering an elevated food and wine pairing session – The Cellarius Kitchen Experience – in mid-July. At this gourmet experience, Chef Travis Westrope personally presents plates, sharing the story behind each pairing. He creates dishes from the freshest, local ingredients that both complement and contrast the unique flavors and aromas of the four Stag’s Leap Wine Cellars estate wines (ARCADIA VINEYARD Chardonnay, FAY Cabernet Sauvignon, S.L.V. Cabernet Sauvignon and CASK 23 Cabernet Sauvignon). The experience lasts two hours and is offered Monday through Thursday at 1 p.m. and includes a winery tour and a seated tasting. Crocker & Starr began The Vineyard Experience in April 2017. The personalized Vineyard Experience starts in their 1918 restored farmhouse with a sip of Sauvignon Blanc. Guests then stroll into the vineyard for the rare opportunity to see and touch their organically grown vines and grapes. From the vineyards, guests continue onward into the newly constructed winery for a look behind the scenes at wine production. Guests are then shown to the Garden Arbor & Stone House for a seated presentation of small production estate red wines. The Napa Valley Wine Train announced three new Quattro Vino experiences in June 2017. 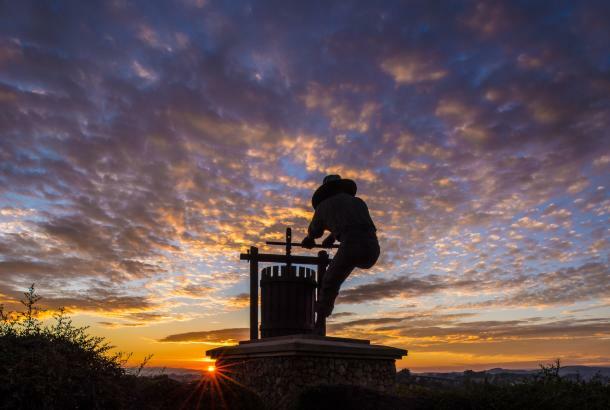 The new tours – Legacy, Estate, and Collective – stop at three Napa Valley wineries. Additionally, the Napa Valley Wine Train introduced an all-new Twilight Private Tour on July 22 that will allow guests to enjoy an evening train journey to Raymond Vineyards or Grgich Hills Estate and exclusive evening dining experiences at the wineries. Maris Collective, luxury fashion and lifestyle destination retailer, opened the “Coop” at Carneros Resort and Spa in May 2017. The rustic modern 700 square foot, one-of-a-kind fashion boutique is conveniently located off Sonoma Highway in the resort’s Town Square. Napa Valley Paddle began offering SUP fitness classes, SUP Yoga, Paddle Picnics and Conservation Excursions in May 2017. Rooted Fork Foodie Tours launched their walking food tours in May 2017. 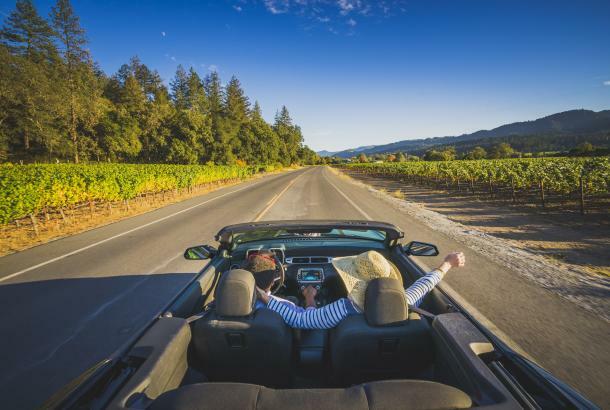 This explorative adventure allows guests to taste bites from a variety of restaurants all in one afternoon, highlighting the local favorites and must-try restaurants in Napa. In three hours, guests will meander the streets of downtown Napa while taking in the history that has lead to the booming growth Napa has become. Tours offered weekly and reservations are required. 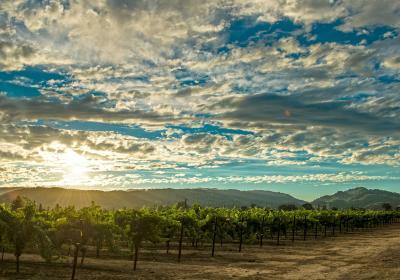 Clif Family Winery started their new tasting experiences, Rise and Wine, in July. Guests begin their day with tasty bites inspired by the Clif Family Kitchen and Farm while sipping on a flight of refreshing wines and ends with a handcrafted espresso or shrub beverage to finish. Meadowood Napa Valley launched a new Wine & Wellness Retreat in April 2017. The Meadowood Spa and Fitness team partnered with local organic and biodynamic wineries (ADAMVS, Ehlers Estate and Clif Family Winery) to offer guests a health-conscious retreat incorporating wine tasting. Guests learn about biodynamic and organic wines and enjoy the activities of Meadowood such as fitness classes, nutritional coaching, cooking classes and the Meadowood Spa. The Wine & Wellness program is offered in three- and five-day packages but can be extended for those looking for a more rigorous health program. Packages include accommodations, wine tastings at featured partnering wineries, special pricing on spa services, unlimited group fitness classes and more. SENZA Hotel, in partnership with More Associates and Construction, has reopened its eight room Parker Mansion in May 2017 after a significant five-month renovation. The historic Parker Mansion dates back to 1870 and houses SENZA’s Parker King and Parker Plus rooms. The revamped interior design of the Mansion, undertaken by Leslie Wilks Design, offers guests new modern bathrooms, oversized showers and a custom amenity line from Marin-based Prima Fleur. UpValley Inn & Hot Springs will complete an extensive guestroom and sauna renovation in August 2017 at the Calistoga hotel formerly known as Comfort Inn Calistoga. All 55 guestrooms will feature new furnishings and bathrooms with a rustic-meets-modern style. In addition, the property boasts a brand-new sauna and steam room for on-site relaxation. In the coming months, the property’s hot springs mineral pool, lobby and lush courtyards will also be fully refreshed. Calistoga Motor Lodge & Spa, the recently updated 50-room hotel in Calistoga, opened in July 2017. The hotel features a 1950s period vibe with whimsical elements, from Priority cruiser bikes for guest use and classic indoor and outdoor games, to inviting communal spaces. Guests can enjoy the outdoor swimming pool, wading pool and an indoor whirlpool—all of which are fed by the property’s own hot mineral springs. The new Moonacre Spa puts a social twist on the traditionally formal spa experience, with a detoxifying “mix your own” mud bar, a spa relaxation garden, a co-ed steam room. They also offer a selection of hand-crafted treatments, including a private tub experience featuring mineral salt offerings inspired by grand thermal destinations from around the world. Rancho Caymus Inn is a historic boutique hotel in Rutherford that reopened July 2017. The Inn was brought back to life by the developer of the acclaimed Hotel Yountville. Originated by the late vintner, designer, pilot and Renaissance woman, Mary Tilden Morton (from Berkeley California&apos;s Tilden Park & Morton Salt families), the renovation has restored the hotel&apos;s natural beauty and features 25 large suite-style rooms with heritage wood ceilings, fireplaces, living areas and private patios. The intimately scaled hotel wraps around a lovely plunge pool and spa. Rancho Caymus Inn&apos;s classic California hacienda style was handcrafted using materials that were carefully dismantled and re-imagined from a 19th century Ohio barn. River Terrace Inn will be adding eight new suites, an enhanced river front experience with a newly landscaped River Walk and an addition of 1,500 square-feet event space, which is scheduled to be completed September 2017. River Terrace Inn’s new dining experience ALBA, opened in June 2017 alongside a refreshed arrival experience, porte-cochere and lobby. The restaurant’s menu highlights shareable, seasonal small plates featuring local products and natural ingredients and a diverse beverage menu. Vintage House (formerly the Vintage Inn in Yountville) is nearing completion of a major transformation and rebranding of The Estate Yountville, which includes Vintage House, Villagio Inn & Spa and V Marketplace. Vintage House, which will officially re-open in September 2017, is currently welcoming guests to enjoy its redesigned guestrooms while the final touches are completed on the outdoor swimming pool and lobby. 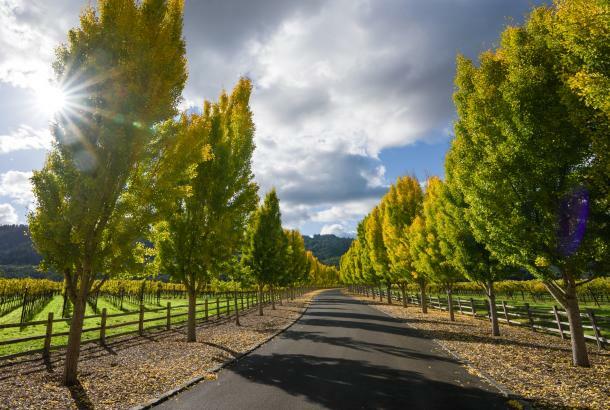 Estate Yountville is located on 22 acres in Yountville. Archer Hotel Napa, a new-build hotel in the heart of downtown Napa, is set to open in October 2017. 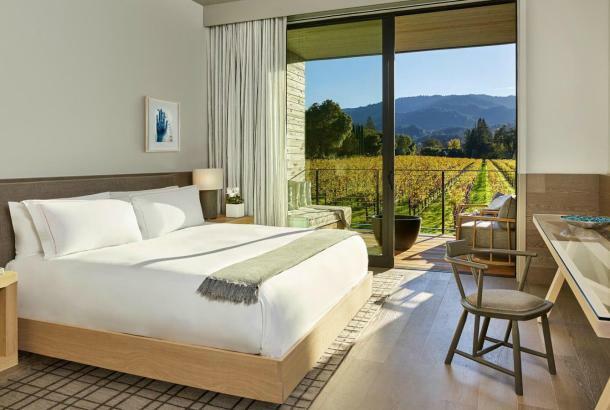 The hotel will feature 143 rooms and 40 balcony-clad suites spanning five stories and a sweeping 360-degree view of Napa Valley from its expansive rooftop. The rooftop will feature a spa, fitness studio and ledge pool with cabanas and fireplaces. Charlie Palmer Steak will be the hotel’s signature restaurant and also provide the culinary direction for the 17,000-plus square feet of indoor and outdoor event space.